5 Bedroom House To Rent in Southampton for £2,995 per Calendar Month. 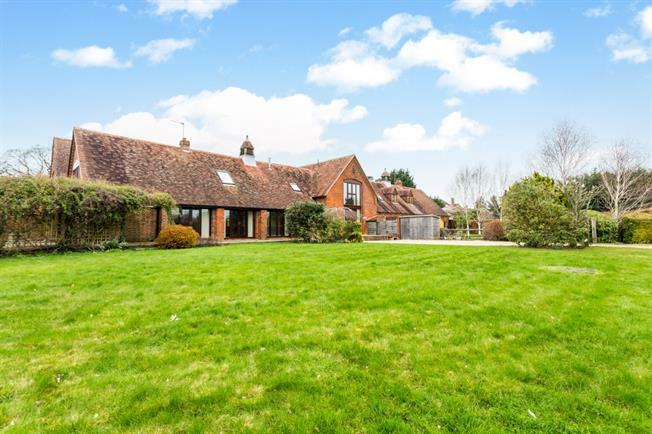 A stunning 5 bedroom barn conversion enjoying extensive countryside views. On entrance to the property an open plan living room with floor to ceiling windows, inglenook fireplace and minstrels' gallery awaits. Leading onto the dining space and Kitchen which has an Aga style cooker and built in appliances leading to a separate utility room. The ground floor also offers WC, study and bedroom with en suite shower room. Offered on the first floor are four further bedrooms one with en suite bathroom and a family bathroom. A private side garden with terraced area is also offered with this property along with a spacious open front garden and ample parking on the gravelled driveway.